Welcome to the Northwest Sound Youth Soccer Association Site on Tuesday, April 23rd, 2019 at 7:23pm PDT. We provide organization to the Youth Soccer program in Washington State in and around the Kitsap and Olympic Peninsulas. Navigation around and about our website is done by clicking on any of the active hyperlinks that look like this, the active graphical elements you'll find distributed throughout the site, or via the Table of Contents which appears at the left edge of virtually all the website pages. It is also possible to return to this home page at any time by clicking on our Logo in the upper left corner of any of the site's pages.when you click/tap on the three bar graphic at the upper left of each page. If you are a current NSYSA participant, you can logon to the site by identifying yourself on our Logon page. Once successfully logged on, you'll be able to interact with NSYSASoccer.org and obtain access to the information that is appropriate for your involvement with our efforts. 2019 Washington State "Of the Year Awards" Nomination are now open. Nomination forms are online (see link below). > Male and Female Young Referee of the Year awards. Clubs with Competitive teams are also encouraged to nominate a Boys and a Girls Competitive Coach for consideration. Calling all team Assistant Coaches, Managers and/or Parents to become your team's referee! The next Grade 8 Referee clinic is scheduled for April 28th on Bainbridge Island. The NSYSA BOD Meeting is typically scheduled for the 1st Monday of each month, 6:30 PM. This month's NSYSA BOD meeting conflicts with many school's Spring Breaks. 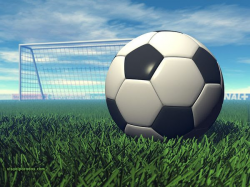 Enjoy Spring and play some soccer! Northwest Sound Youth Soccer Association (NSYSA) will be holding the Annual General Meeting (AGM) on Tuesday, March 19, 2019, 6:30PM. Please forward this information to all club officers, coaches or membership within your club that may wish to attend. 3. Proposed changes to the NSYSA Constitution. 4. Voting for officers whose current tenure have expired. The following is a list of Executive Officers whose tenure has expired: Nominations will be accepted from the floor. VP of Administration - Val Corden has stated her intent to return for another term. VP of Awards & Recognition - Naomi Carrier has stated her intent to return for another term. Registrar - Susie McGill has stated her intent to return for another term. Please review and submit any changes to NSYSA VP of Admin. Val Corden at nsysa.admin@nsysasoccer.org by February 18, 2019. All voting will be in accordance with the NSYSA By-laws. AmazonSmile: You shop. Amazon gives, to NSYSA! It costs nothing to give. Visit Your AmazonSmile Impact to see donation information and learn more about your charity. Please note that the NSYSA Board Meeting is a public meeting - open to all who wish to attend. However, should any attendee wish to speak to the board on any particular matter, they should first contact the NSYSA Secretary (nsysa.secretary@NSYSAsoccer.org) in sufficient time to be placed on the Meeting Agenda. Unable to attend? Zoom in! NSYSA is inviting you to a scheduled Zoom meeting. The NSYSA BOD Meeting is typically scheduled for the 1st Monday of each month, 6:30 PM. This month's NSYSA BOD meeting for February has been rescheduled, due to snow, to Feb. 11, 6:30-9PM. Clubs and executive board remember annual reports due by March 1st. LOCATION: A scheduled Zoom meeting. NSYSA and other youth sport organizations often rely on parent volunteers to coach the league’s teams. Despite the lack of experience many of these volunteers have, without their generosity of time and spirit kids would not have the opportunity to learn and play a sport. If you are in this position, avoid overwhelm and instead focus on the 11 tips found in this document for first-time coaches. These may be the difference maker for you to enjoy the experience! These Positive Coaching Alliance timeless tips include pre-season advice like letting your child know you’re considering coaching and being clear on your own goals. Putting some thought in before the season begins will help direct your strategy for practice and game planning. This list also includes tricks of the trade like welcoming all kids to practice by name to make them feel important, and facing the sun when you talk in team huddles. These may seem like small adjustments, but they make a big difference when you’re dealing with young impressionable players, with short attention spans. Finally, don’t forget that this can be hard! First-time coaches are often confronted with a harder-than-expected experience. Don’t get discouraged, give yourself a break and remain positive with yourself. Find other coaches and workshops to learn from, and remember how important a role you’re playing in the lives of young athletes. For the full list of 11 tips, download the article by following this link. 1: These regulations are in addition to any other rules imposed by the facility owner, (school, county, etc…), for all NSYSA associated practice or game usage. 2: Anyone violating the NSYSA or facility rules may be asked to leave the fields. 3: Continued violation of the rules may result in NSYSA losing access and therefore negatively impacting NSYSA’s ability to provide proper facilities to our members. Please place garbage in appropriate receptacles. No bicycles, skateboards, skates or other similar devices are permitted on the fields. ALL GAME SNACKS WILL BE DISTRIBUTED OUTSIDE AND OFF THE TURF. Thank you for your continuing cooperation with NSYSA.